Mobile repairing course me is lesson me aap sikhenge PCB par FM IC ko Reball or Remove kaise kare. 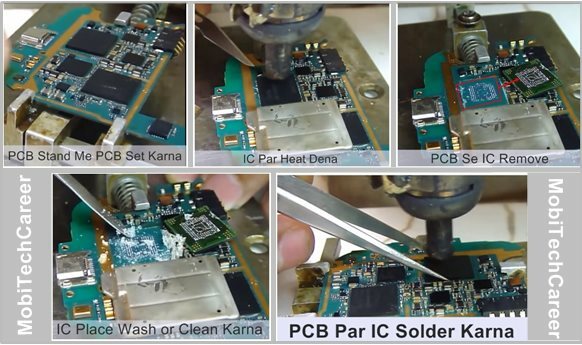 how to reball & remove FM IC on pcb of a mobile cell phone in mobile phone repairing. Aaj kal ke almost all latest mobile phones me PCB par Ball IC ka use jyada ho raha hai. Mobile phone repair me hardware faults me kisi bhi IC par three works kiya jate hai - Heat, Reball or Change. Is lesson me jahan bhi IC word use honga wo FM IC ke liye hai. Ab aap pcb board par easily FM IC ko hatha or laga sakte hai. 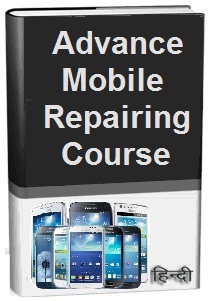 New mobile repairing lesson apne E-mail inbox me free receive karne ke liye Free Email Subscription jarur le. Taki new lesson publish hote hi aap turant read kar sakte hai. online free mobile phone repairing course ko apne friends ke sath jarur share kare. Full Course Ko Step by Step Original Hindi Language Me SIkhene Ke Liye – Advance Mobile Repairing Course Hindi PDF Book (E-Book) Download Kare.